Meadow Pond's Moultonboro location now offers the latest non-invasive treatment option for a multitude of ailments: Therapy Laser! 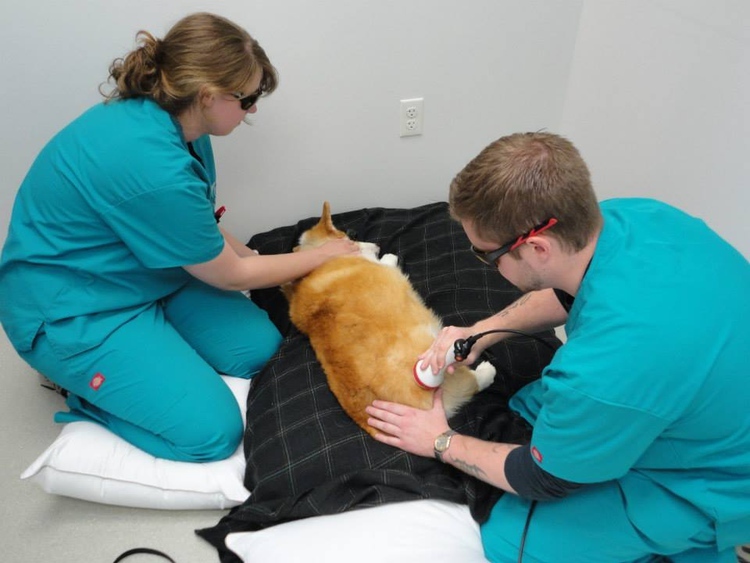 Technicians Erin Cullen and Jeremy Thompson perform T-laser treatment on Lily the Corgi. In 2011, to better serve their growing client base which now extends well beyond the Lakes Region, Dr. North and Dr. Keenan purchased an additional location at 2025 Rte. 16 in West Ossipee. They began work on a complete renovation to convert the building to an animal hospital that reflects their high standards. 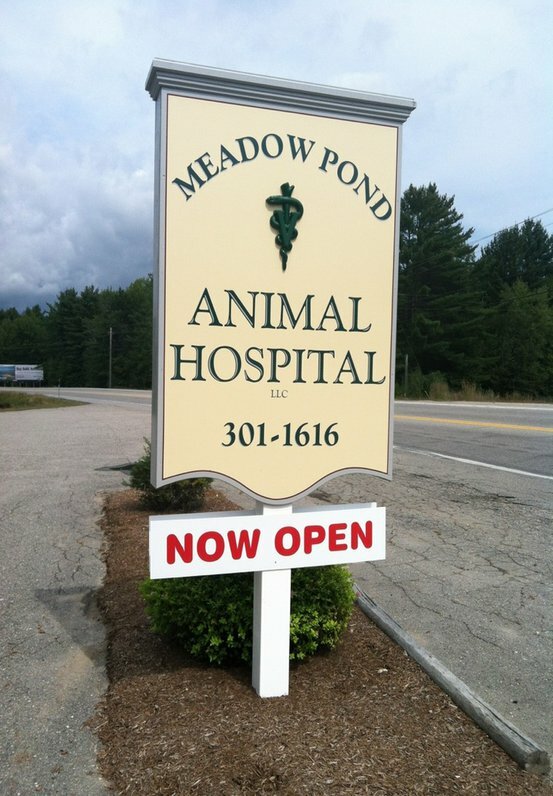 On Monday April 16, 2012 Meadow Pond Animal Hospital, LLC. satellite location officially opened! Dr. Keenan and Dr. North plan on hosting an open house in the near future to welcome clients to the new practice.